The key to becoming literate is knowing words, words, and more words! The more words we know, the more exactly we can express ourselves. The more words we know, the better writer we become. The more words we know, the better reader we become. 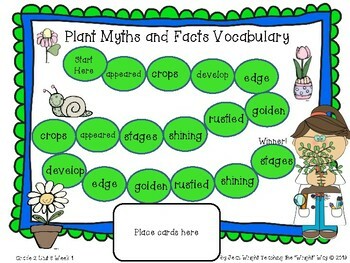 It is important to emphasize the new vocabulary words in your weekly lessons. 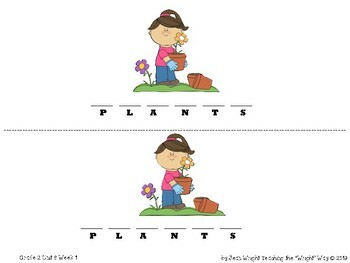 These vocabulary games are a fun and engaging way for your students to learn the weekly words. 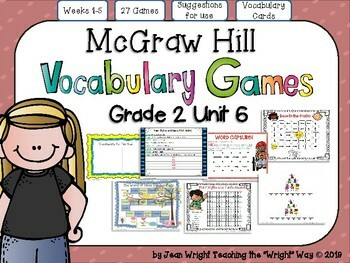 This resource is intended to be used with McGraw Hill Grade 2 Unit 6 vocabulary words, but could be adapted for use with other words as well. The games included with this bundle are: Tic Tac Toe, Word Search, and Race to the Center, POW! 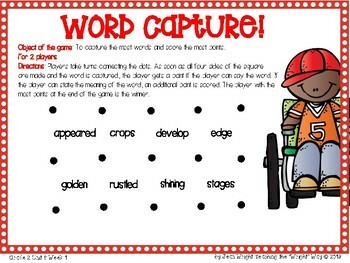 BANG!, Board Game, Thematic Game, and Word Capture, Be sure to check out the preview to see examples of the games. I believe you find them useful, rigorous, and engaging!